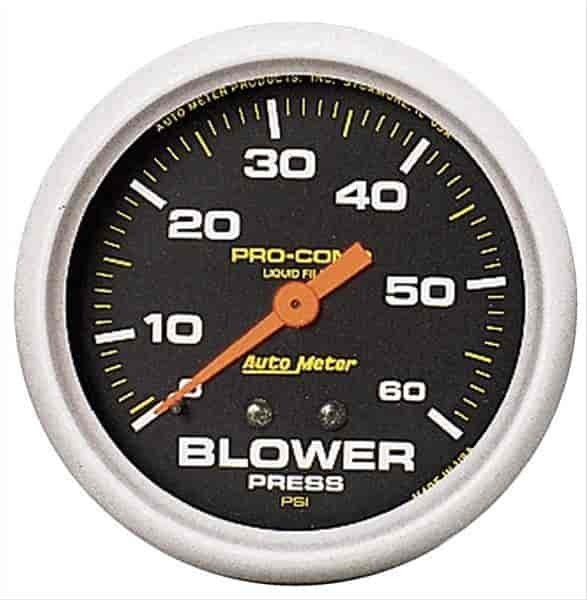 Auto Meter Pro-Comp Gauges combine the legendary classic appearance and style of the Sport-Comp Series Gauge, but are designed for the professional racer. Pro-Comp gauges are highly visible to the driver by utilizing a easy-to-read design with traditional incandescent lighting and yellow indicator marks within the gauge face. These gauges are highly durable, withstands the rigors of competition racing and are well-suited for any race car electrical system, providing quick and accurate readings. Available in most popular sizes in mechanical or electrical.